2009 Am Màrt / March: Dwelly air loidhne! O chionn ghoirid nochd làrach-lìn ùr air an robh iomadh Gàidheal agus neach-ionnsachaidh a’ feitheamh – am faclair Dwelly air loidhne. A bheil cuimhne agaibh air Dwelly, leabhar tiugh ud, nas coltaiche ri encyclopedia na ri faclair sìmplidh, a b’ àbhaist a bhith ann an dachaighean air feadh na Gàidhealtachd? 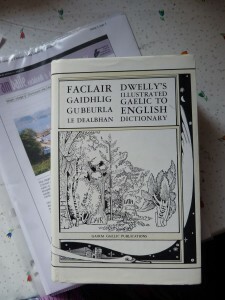 ‘S urrainn dhut faclan lorg air dòighean eadar-dhealichte , mar eisimpleir Gàidhlig gu Beurla (mar an leabhar fhèin), Beurla gu Gàidhlig, ‘san fhaclair air fad’, ‘pàirt de dh’fhacal’, ‘coltach ri…’, etc. Tha an stòras mòr a bha cho fada falaichte mu dheireadh fosgailte a-nis, tron ghoireas-lorg mhìorbhaileach seo. Agus abair stòras! Cuir ‘Easter Ross’ a-steach agus nochdaidh faclan agus abairtean às a’ Ghàidhlig ionadail againn, mar pollach (cod), crobhrsag (seach gròiseid, gooseberry), agus aon fhacal a chluinneas tu an-diugh fhèin – stròilleach (seaweed). Abairt ionadail shnog eile: tha e na chlàr bhiodrail – it’s in smithereens. Dealbh dòigh-beatha a dh’fhalbh, nuair a bha an toradh a’ ghàrraidh agus a’ mhuir cho cudromach, agus nuair a bha agad ri cùram a ghabhal d’ uidheim, gus nach biodh i ’na chlàr bhiodrail’ – cha robh Tesco aca, no mòran airgid nas motha. Bha mi a’ lorg fo ‘iasg’ (cha sguir thu nuair a thoisicheas tu!) agus mhothaich mi seo: ‘the skate is most unjustly underrated by the natives of the West coast of Scotland’! A-rithist ‘s a-rithist lorgaidh tu iomhraidhean pearsanta coltach ri sin, aig amannan eibhinn, aig amannan fiosrachail, ach an-còmhnaidh dealasach agus beothail. Agus a-nis ‘s urrainn dhuinne pairt a ghabhal anns an dealas sin, tron mhìorbhail a th‘ anns an eadar-lìon. Spòrs is toileachas gu leòr ann! Am biodh Dwelly fhèin air a bhith airson an riochd didsiotach seo den obair-beatha aige? Gun teagamh. 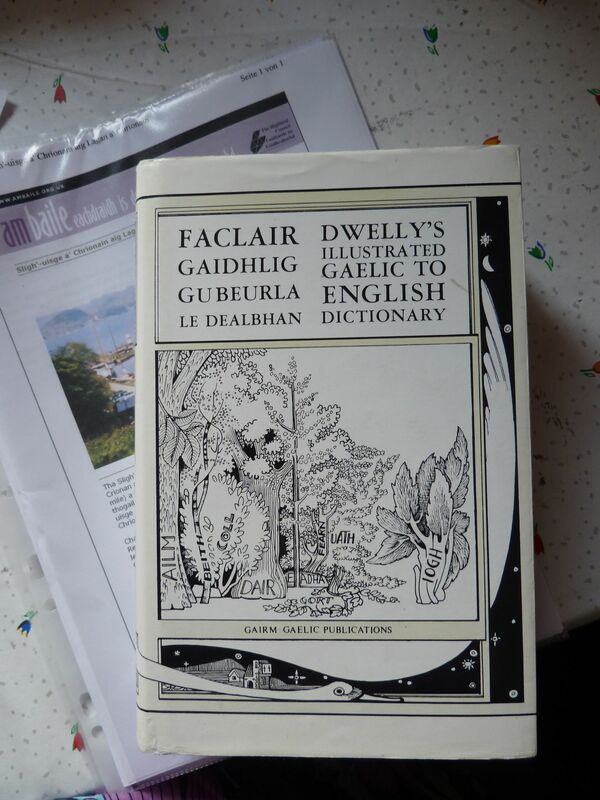 Do you remember the big old Dwelly Gaelic dictionarv, more like an encyclopedia, that you used to see in Highland homes? Well, now it’s online and you can finally explore the fascinating treasure trove that’s been hiding there. 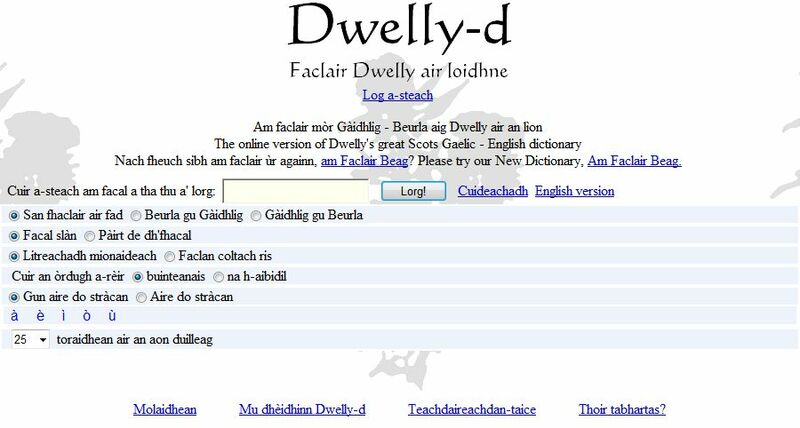 The site, www.dwelly.info, has a brilliant search facility, G to E, E to G, both ways, parts of words, ‘looks like..’, etc. 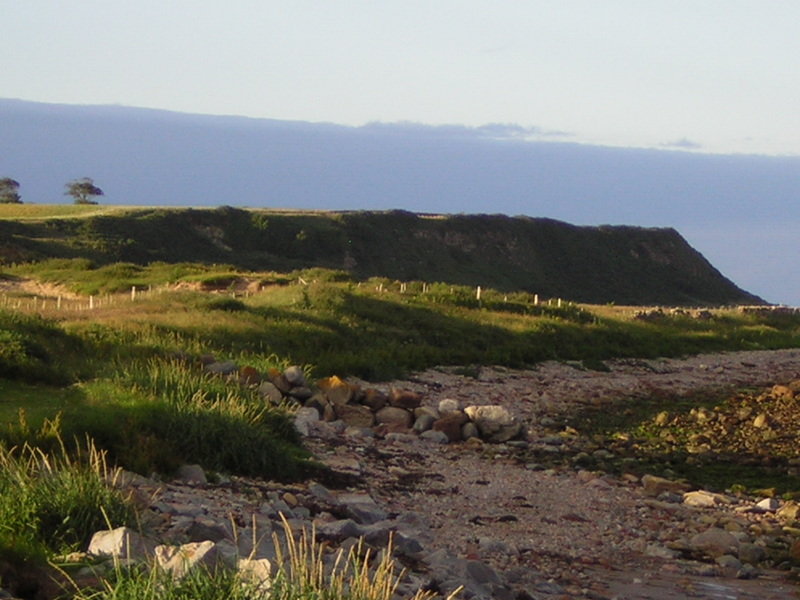 A search for ‘Easter Ross’ throws up a collection of local terms for fish, fruit, seaweed etc that conjure up a vivid picture of a way of life where home-grown and sea-caught produce were paramount and you had to look after your precious gear. You can also chuckle over Dwelly’s at times amusing personal comments (in English), and you can’t fail to be infected by his enthusiasm. Would he have approved of the digitalisation of his life’s work? Definitely! Give it a try – even if you have no Gaelic. It’s fascinating.